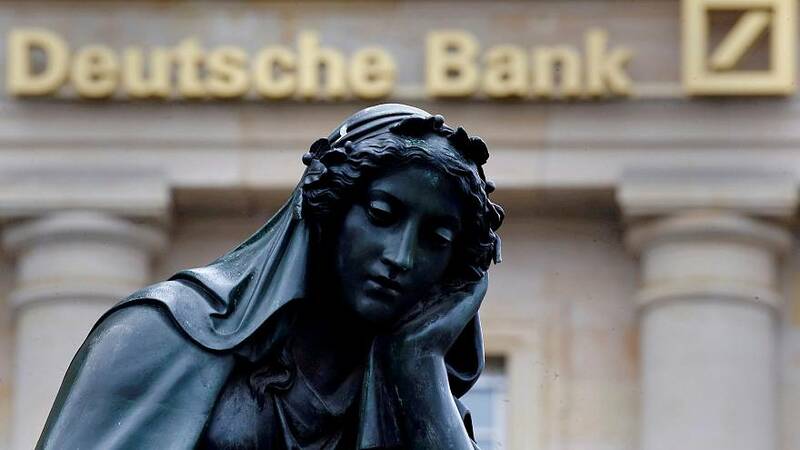 Deutsche Bank has agreed to pay the equivalent of $630 million (585 million euros) in fines to US and British regulators over money laundering. It had failed to prevent around $10 billion (9.29 billion euros) in suspicious trades out of Russia between 2011 and 2015. One scheme involved the bank’s Moscow, London and New York offices buying Russian companies’ shares in roubles on behalf of clients. Shortly afterwards identical quantities of the same shares would be sold at the same price through its London branch. The New York Department of Financial Services said the trades “lacked economic purpose and could have been used to facilitate money laundering or enable other illicit conduct”. Britain’s Financial Conduct Authority separately said Deutsche Bank allowing customers to transfer billions from Russia to offshore bank accounts “in a manner that is highly suggestive of financial crime”. Deutsche Bank previously said it had disciplined some employees over the trades. It also cut back on its investment banking activities in Russia. The investigation found Deutsche Bank’s Moscow traders facilitated the scheme, with most of the transactions placed by a single trader representing both sides of those “mirror” transactions. Deutsche’s Moscow traders did not question the suspicious trades because it made for easy commissions when their Russian business had slowed, the regulator found. The Russian case settlements come on the heels of a $7.2 billion agreement with the US Department of Justice earlier this month over the misselling of mortgage-backed securities,.